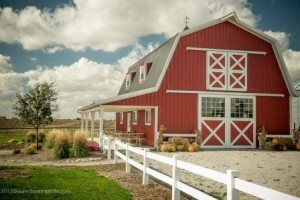 The Slagel Family Farm – If you take Route 24 one mile east out of Fairbury and then two miles south and another half mile or so east you’ll find a farming adventure (actual address is 23601 E 600 N) in the raising and processing of livestock that is unique unto the industry. In its natural country setting, complete with all the out buildings and pasture lands associated with such, and then some, you will come across a meat producing icon that holds quality and natural processes as top priorities in their operations – an operation that is in its sixth generation of family tradition. They locally raise their animals and birds with natural processes in an outdoor environment, feeding them on grain, grass, and hay that is all grown right on their farm land. In bringing their livestock to maturity they do not use implants, hormones, steroids, or any constant levels of antibiotics, staying consistent with their emphasis on genetic development as being a key element in producing a healthy and safe food source. This strategy results in their beef and pork having a high marbling consistency in the meat texture and the process yields tender, juicy cuts that are exceptional to meat lovers. The Slagel enterprise controls all aspects of the process from start to finish and they have a processing facility in Forrest, IL that completes the cycle. This operation is notable because, unlike many of the larger commercial processing companies, they do not inject a 5 – 10% saltwater solution into their products. Their reputation has brought them to the attention of several of Chicago-land’s top restaurants and they are currently supplying a number of them on a regular basis. The Slagel Family offers periodic dinner tours for the public that give an in-depth experience with their farm’s operation that includes a dinner featuring their own meat products as an entrée. These dinners are prepared by the culinary talents of guest chefs from their Chicago restaurant group who make the trip down to put this four course dinner together for the participants to enjoy at the conclusion of the farm tour. These tours begin in the early afternoon of the chosen Saturday, around 2:00, and are conducted by one the Family’s experienced guides who will provide the visitors with opportunities to hold baby piglets, gather fresh eggs and interact with some rather playful goats and lambs. The educational walk-through the Farm’s various stages of livestock care will give all you “city-folk” an up close and personal experience in how the meat products that are consumed on a daily basis come to be available for that purpose. Of course the Slagel Family Farm is unique in its attention to the detail of natural care of their livestock which gives an added bonus to the tour’s imparted understanding of how it works. You get a very good observation of the environment in which this livestock is raised, the techniques that are used and meeting the people that make it happen. Following the grounds tour there is a demonstration of meat cutting, using sections that have been prepared for the demo, to show the onlookers how various retail cuts are obtained and what the different portions identify to at local meat counters or on restaurant menus. The Farm’s catalog of products includes beef and veal, pork, lamb, goat, rabbit, turkey, and chicken as well as by-products such as eggs and, and even pet food for your four-legged buddies. All parts of the tour are open for your questions so ask away and know that these folks out there do not label anything as a “dumb question” so you needn’t be bashful, satisfy any curiosities that you might have. This is a great experience for anyone who doesn’t have a good working knowledge of meat sources, especially for the kids – seems like an awful lot of us grow up thinking that the hamburgers we eat originate from a cellophane wrapped package. The Slagel Family Farm has a second barn building that is not used for animals and it is set up as the dining area in which is included a kitchen where the evening’s meal is prepared – it gives a complete country setting experience and keeps the “farm spirit” on the awareness radar from start to finish. These events attract people from near and far – many come from the Chicago area. Each of these occasions are very well attended, which is testimony to how interesting the presentation is and how good the food is. Tickets for these events are $125 each, but children 15 and under are free. The four course meal includes a salad, the meat entrée with sides, a dessert, and a choice of lemonade or water to drink. You can purchase the tickets online at brownpapertickets.com or on the Slagel Family Farm website (under dining). These monthly dinner tours run from early spring through the fall and they feature one or two Chicago Restaurant Chefs, from well known restaurants who are fairly famous in the culinary field, some even renown. Their schedule is available on their web site and it usually includes the chef(s) involved and what restaurant they are with. These tours are well planned, informative, educational, recreational, and are concluded with a special delicious meal prepared on site by professionals that gives everyone a taste of Chicago in a local setting that is the meat “roots” for the restaurants represented. You can see a listing of the Chicago restaurants that the Farm supplies on their web site which would pave the way for maybe a trip to the “big city” up north and a visit to one of these fine eating locations. You can experience first hand the net result of a lot of down state hard work where every pound of product has a special personal touch before it enters the professional dining atmosphere. If you’d like to put some of these fine meat products on your own table you can visit Slagel Family Meats at 103 E. Krack St. (Main Street) in Forrest, or you can give them a call at 815-657-8160 for details on what they have to offer. They have healthy great tasting meat products and by-products and, if you go online, you can also see the “labels” that they supply. It’s quite a total operation and well worth looking into. It’s the real deal from the dinner tours on the Fairbury Farm to their meat counter in Forrest. Hello …. Over the weekend, I signed up for a tour of your farm for this Saturday, August 6th at 10:00 a.m. for two (2). I hadn’t received a reply back. Are you offering a tour on Saturday. Please let me know. My name is Donna Howell. Thank you.